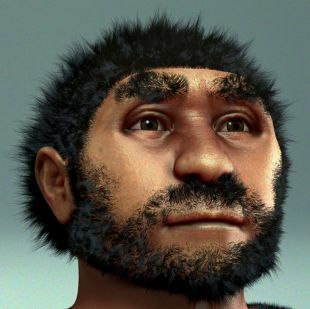 A mysterious primitive hominin (early human) living in China as much as a quarter-million years ago was even more baffling than previously thought. Its teeth were bigger than ours, which is considered to be a primitive trait. But the teeth are otherwise strikingly like those of modern humans, and now the discovery of a young child’s jaw reveals that their dental development was like that of Homo sapiens as well. Analysis of the enamel on the one tooth remaining in the piece of the child’s jaw the archaeologists found in Xujiayao Cave, indicates that children of this strange species also had a protracted childhood in which they were dependent on parents, an international team of scientists reported Wednesday in Science Advances. 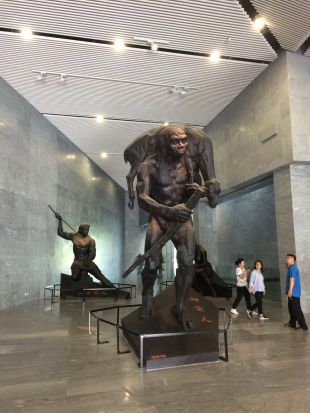 The hominins living in the inland cave some 300 kms west of Beijing were first discovered in the 1970s, and their nature has been puzzling scientists ever since. “These fossils exhibit an odd mosaic of archaic and more derived features,” co-author Debbie Guatelli-Steinberg, an anthropologist with Ohio State University, told Haaretz. Mammals in general have a period of infancy and childhood involving parental dependency. The more primitive the simian, the shorter that dependence is (to oversimplify). Humans are considered to have extraordinarily long parental dependence, which we assume is because we’re so smart. Put otherwise – we have become so advanced that it takes well over ten years, or even over 20, for the kids to learn self-sufficiency. Also, our teeth are believed to have become smaller through evolution as we transited to eating things smart people eat, especially cooked meat and boiled grains. One of the areas in which we take our sweet time in reaching maturity is dental development. Enamel deposition is slow, crown formation is prolonged, molar eruption is delayed, and roots extend relatively slowly. It seems, based on the remains of the child located among the skeletons of 20 individuals found at this northern-China archaeological site, that they had a modern mode of dental development, though modern humans they were definitely not. The tell-tale juvenile with the slowly-developing enamel died at about six and a half years of age. All that has been found of him or her is the half-maxilla, lead author Song Xing of the Chinese Academy of Sciences in Beijing told Haaretz. When these beings lived is also an unknown. Work done on the mammal teeth found among the human skeletons suggested that the hominins lived at least 104,000 years ago – but the actual deposits containing the Xujiayao fossils were dated to 148,000-248,000 years before present, Xing says He and the team however believe they have narrowed down the range of the Xujiayao people to 160,000-200,000 years before present. 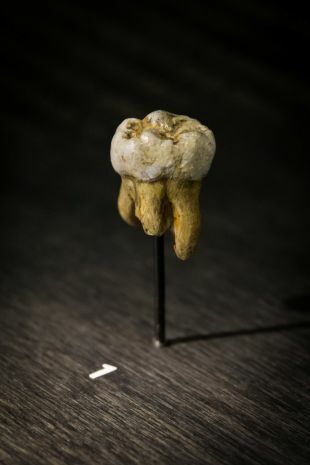 In any case, the archaic child lived some time between 104,000 and 248,000 years ago and its dental development was about as slow as that of modern humans. It bears adding that the latest theories suggest Homo sapiens (us folks) arose in Africa as much as 500,000 years ago, though our form only became recognizable a couple of hundred of thousand years later. However, based on stone tool discoveries, hominins had spread out of Africa and were thronging Eurasia almost 2 million years ago. 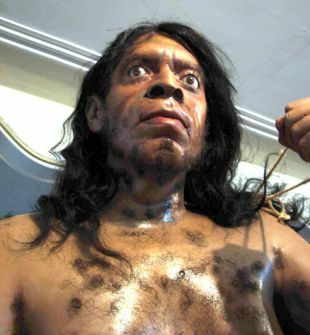 It isn’t clear when anatomically modern humans showed up in the region, and when, how often and where they interbred with other kinds of hominins (but they did). There is a theory that all humans living today arose from a mass exodus from Africa 60,000 years ago, but it’s also apparent that anatomically modern humans were trekking abroad tens of thousands of years before that, though earlier migrations out of Africa may have gone extinct. In any case, Homo sapiens remains have been found dating to 200,000 years ago in Israel, 85,000 years ago in Saudi Arabia, and more. A 2016 paper suggests Homo sapiens remains in China date to between 70,000 and 130,000 years ago, though the argument about the dating rages on. As for Xujiayao Man, it might have been expected to have primitive dental development since so many of its other features are not modern, including its skull. Many of the remains of the other 19 individuals previously found in this Chinese cave were skull bits. Also, as said, its teeth were bigger than ours. Denisovans for instance also had bigger teeth than us, which we know because it’s one of the only remnants of those people to have been found. As for Neanderthals, they had bigger skulls than we did, period. Even the child’s one tooth managed to evince both modern and archaic traits. Her first molar (in today’s kids, it’s called the 6-year-molar) had erupted a few months before her death, which is the same timeline as in today’s people. The root was about three-quarters complete, ditto. “We found that this juvenile was growing up - at least dentally - according to a schedule similar to that of modern people,” said grad student Mackie O’Hara of Ohio State. Also akin to us was her perikymata - the incremental growth lines on the tooth’s surface. Their distribution was like ours. The primitive aspect of the child’s dental development was that the roots of her teeth developed fast relative to ours. It would have been interesting to find out when this species sprouted their third molars, but she died at the tender age of six and a half.